I’ve been playing through Marvel’s Spider-Man these past few days and today I noticed something cool during a side mission: street signs. 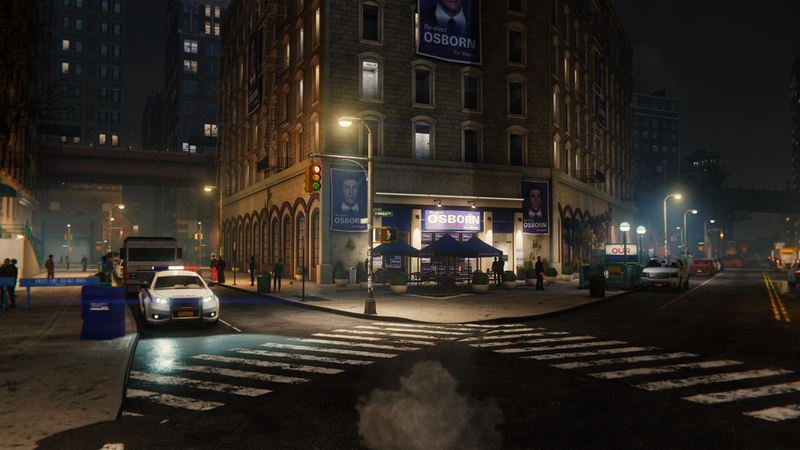 The mission “Spider-Men” leads the player to a few different locations around New York and at one stop, I noticed street signs for 120th and St. Nicholas. Out of curiosity, I decided to look at that intersection on Google Maps, which turned out to be a great idea. So the sign itself is different but it’s looking good so far. The building behind it is where it starts to get cool. 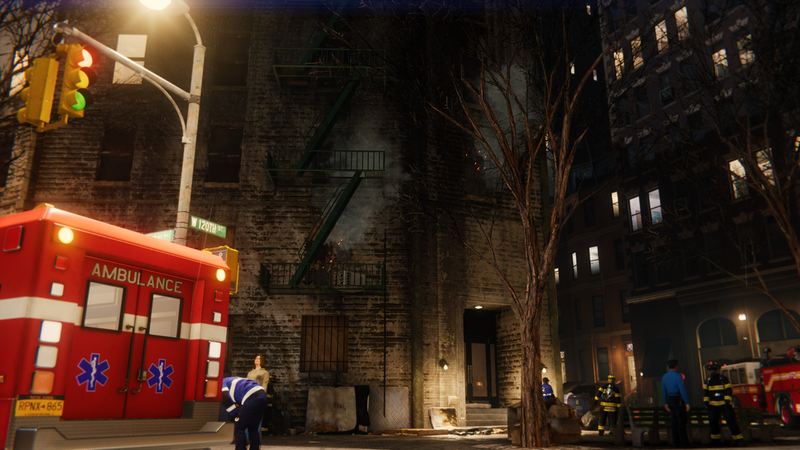 The mission has Spider-Man checking out this apartment building after a recent fire. You have to check that fire escape for evidence that someone has recently climbed it. Check out these shots from that corner of this intersection. That’s either dope as hell or completely terrifying if you happen to live on 120th and St. Nick. It’s not an exact match but it’s certainly more than enough that you’d recognize this intersection as you web swung by in Spider-Man. Open-world games have done to-scale cities in the past, but there’s something about seeing that level of accuracy in a game like this, where you’re spending hours at a time not even touching the ground, that makes this a surprise. For the sake of consistency, I checked the building to the right of this one both in game and IRL, as well. It’s the one behind the original street sign. The shape of the building isn’t quite the same, since Insomniac Games took a few creative liberties to add some of the game’s fiction. However, the layout of the street remains the same, as it’s a 4-story building set back a ways from the sidewalk. In retrospect, I probably should have gone off on this tangent when it was daytime in the game, but oh well. I’m sure there are plenty other examples of this in Spider-Man. Color me impressed. Know someone who likes using Google Street View for mildly creepy investigations? Share this article with the button below!